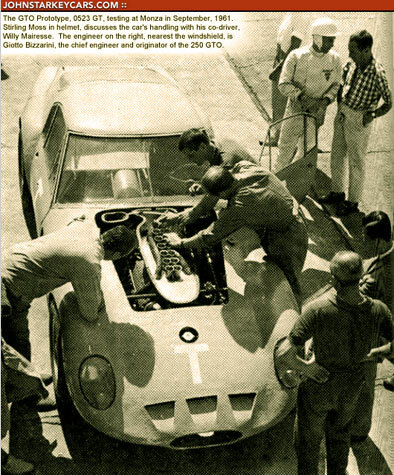 Ferrari 250 GTO proto test Monza with Stirling Moss + engine + figurine. open door and open bonnet. the kit is new, from private collection.